Whitney Smith is a multi-disciplinary artist who has worked in a variety of alternative and mainstream fields. He began his career as an actor in his teens, performing in many principal roles in films, TV and radio programs, including a daytime series Barney Boomer (later called Upside Town), produced by Stu Gilchrist, and a weekly radio series, The 9:15 Alarm Clock, which featured Alan Thicke and Maribeth Solomon. In high school he made a film, Up Only, which won two young filmmaker prizes (Best Experimental Film) in Brussels and Toronto. Through his work as a radio performer he wrote, narrated and produced radio documentaries for major CBC programs, including Morningside and Ideas. In 1982 Whitney wrote and presented eight hours of radio documentaries on Sir Ernest MacMillian, the most comprehensive biographical study undertaken on the musician to date. While working as an actor, writer and broadcaster in the 70s Whitney studied with Samual Dolin (electronic music), Gordon Delamont (harmony, arranging, counterpoint, serial composition), Darwin Aitken (piano), Hank Monis and Tony Bradan (guitar), and wrote and performed songs, lyrics and program music for the theatre, notably Theatre Passe Muraille under the direction of Paul Thompson. In 1978 he wrote a radio documentary on Delamont (1918-1981), entitled "Taking the Notes Where They Want to Go." In the early 1970 Whitney was an active member of the artist-run movement in Toronto, working out of A Space and the Music Gallery. As a writer, performer and musician, he collaborated on 27 performance art works (with General Idea, members of the Western Front, and many independent artists), some of which toured Ontario, Canada and the U.S. In 1979 he played lead guitar for Video Cabaret's Hummer Sisters/1984 show that toured Canada and the UK. With poet Victor Coleman he founded the theatre company geared to shadow-puppetry, Shadowland, and wrote its first show, Radio Ghost, which toured Canada. 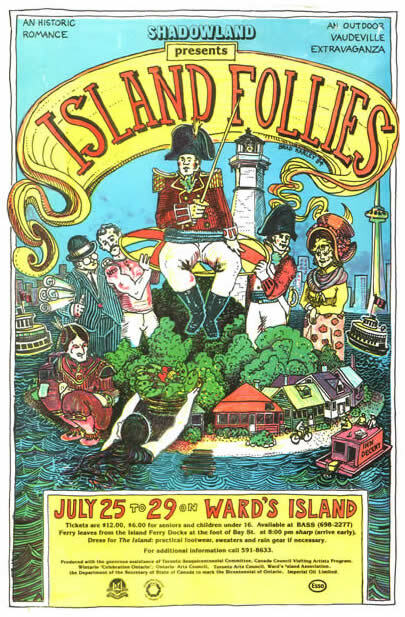 With the island community and members of England's Welfare State International he produced, co-wrote the script (with Peter Such) and composed music and lyrics for the show, Island Follies, in 1984, which was performed out-of-doors on Algonquin Island with the participation of 200 island volunteers. Whitney's jazz and swing orchestra, the 17-piece Big Steam Band, was formed in 1984, and featured Louise Pitre and Holly Cole as its lead vocalists (at separate periods). The band performed in clubs in Toronto and also became a fixture in the arts scene at the Music Gallery and QTV, a guerilla satellite broadcast show. 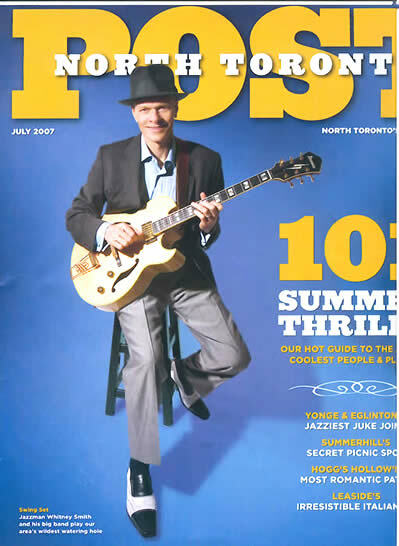 After a leave of absence from 1988-1998, Whitney Smith Big Steam Band was restarted and played regularly in clubs and concert halls in and around Toronto, featuring three of Whitney's compositions. 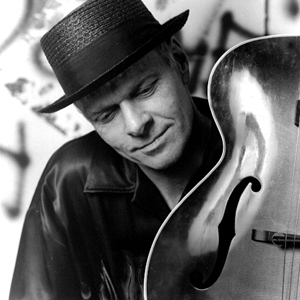 Their first album, "Swing's Mistress," was released in 1999, and second album entirely of his original compositions, “Life Drawing”, in 2004. At Artspace in Peterborough in 1985, Whitney conceived an artist-in-residence program on art and radio, "This City is a Radio". His performance piece, "Alone with Radio", was performed with 60 participants of the program and the early Big Steam Band and dancer Joan Phillips. In 1986, with poets bpNichol and Victor Coleman, Whitney co-founded "Earlick", a festival of songs by Canadian poets and writers that toured Ontario. While foraging and selling wild foods for a company he co-founded, Forest Foods, which introduced wild produce to Toronto chefs, including Michael Stadtlander and Jamie Kennedy, Whitney produced a performance piece, Fern Policy. The Music Gallery, Toronto, May 27, 1981. This began Whitney's extensive variations on the theme of wilderness and cultivation. 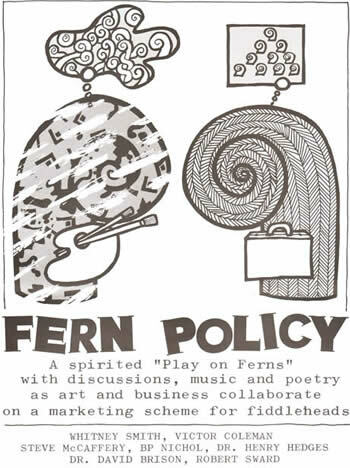 Fern Policy '82 and Fern Policy '84 followed at the Music Gallery, the latter performed as well at the Natural History Museum of Canada in Ottawa. It was this work that seeded the founding a new arts organization, the Society for the Preservation of Wild Culture (S.P.W.C. 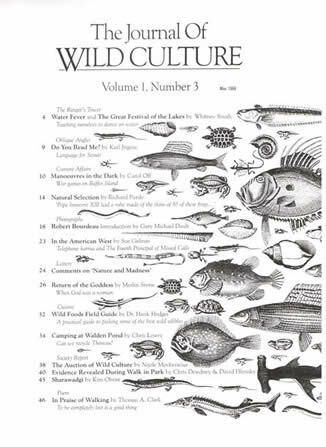 ), which published the magazine, The Journal of Wild Culture. The first Journal of Wild Culture editorial team of Whitney, Christopher Lowry, Kim Obrist, Peter Ferguson and the late Bernard Stockl conceived the premier issue. From its Toronto base the journal gathered its quizzical influence while riding the third wave of environmental public awareness of the last half of the century (the first ignited by the publication of Rachel Carson's The Silent Spring in 1962, and the second with Earth Day, in 1970). 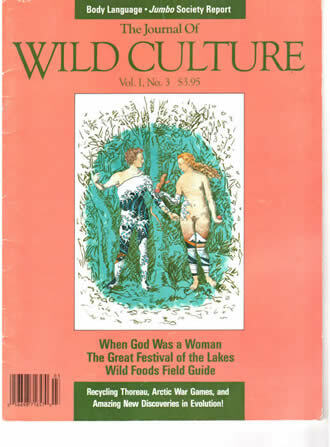 Using the subheading "ecology and imagination", The Journal of Wild Culture bridged the gap of discourse within the environmental and ecology movements in the mid-1980s with a magazine that was at once stylish, literary and quirky, a cross between the National Geographic Society, General Idea's File magazine, and the work of Toronto pataphysicians, notably the Marquis de Sod and Mr. Potatohead (pataphysics: "the science of imaginary definitions"). The local and international subterranean success of the magazine (its Southwestern U.S. distributor reported the magazine had "a cult following in Texas".) spawned other S.P.W.C. projects: an avant-garde cabaret series, The Café of Wild Culture, a series of walking tours by artists, Landscape Readings, and the book, Wild Culture (Somerville House. Toronto, 1990), co-edited with Christopher Lowry. (This publication is available through the website.) For a review go to Books in Canada. Whitney's art has often connected with activism, and in between art projects he organized conferences on social change issues: In Our Own Back Yard: Bioregion Week, on the subject of bioregionalism in Toronto; Our Local Economy (community economic development) and its three conferences, Town Hall Week; the Badger newspaper on municipal reform politics; a conference building awareness of Toronto's Garrison Creek; the 1995 Great Lakes Bioregional Congress on Snake Island. Whitney's work as a journalist has appeared in various Canadian and U.S. publications. His most recent journalism has been published in Toronto's NOW Magazine. As a jazz musiciand and bandleader, he worked from 1998-2009 performing with the Big Steam Band and his smaller ensembles (see Bands). 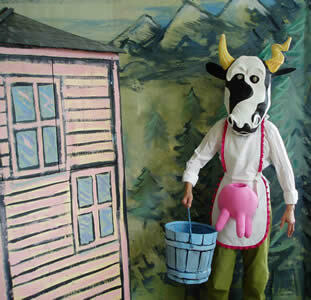 In 2007 Smith developed Suitcase Theatre, a music and visual theatre company. 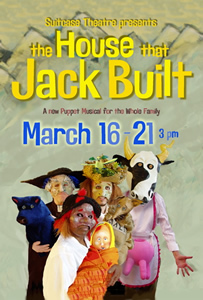 The company creates original shows based on ancient tales that entertain disadvantaged children and institutionalized seniors while also helping to rejuvenate the creative talents of adults who are at a crossroads in their lives. 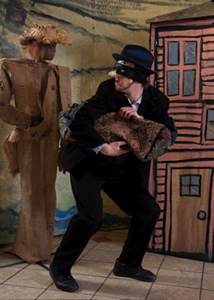 Suitcase Theatre was co-founded by Whitney and Stu Gilchrist (producer of the CBC's Mr. Dress-Up) in collaboration with director/puppeteeer Anne Barber and designer Brad Harley, the current artistic directors of Shadowland Theatre, storyteller Hildy Stollery, and members of the 6 St. Joseph House community. The flagship show, The House That Jack Built, written by Smith, Barber and Harley toured schools and institutions for underserved children. The company carries on under the leadership of Stu Gilchrist and Alanna Balicki. Whitney has returned to Toronto from London, England, where he was part of a walking collective, Charlatan Tours: big city walking expeditions led by unqualitified amateurs, and exploring new opportunities for his work. 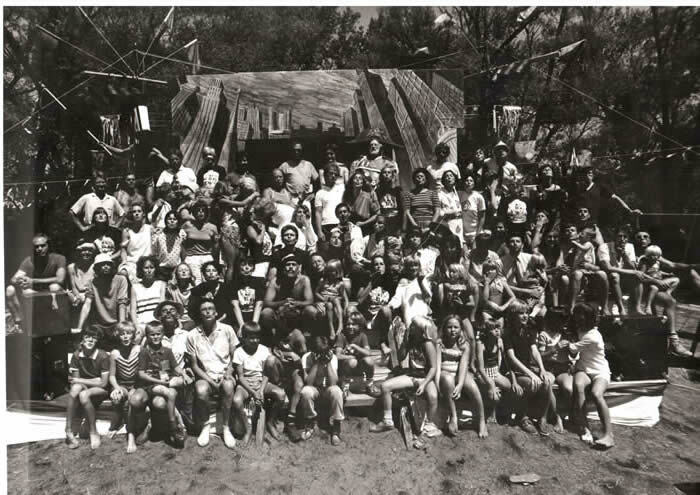 Cast, crew and volunteers of "Island Follies", Toronto Island, 1984. And this, on the same theme, from Country Life online in the UK, even if you don't have a gamekeeper, you can probably translate. 1 Negotiates airports with ease. 2 Never lets a door slam in someone’s face. 3 Can train a dog and a rose. 4 Is aware that facial hair is temporary, but a tattoo is permanent. 5 Knows when not to say anything. 6 Wears his learning lightly. 7 Possesses at least one well-made dark suit, one tweed suit and a dinner jacket. 8 Avoids lilac socks and polishes his shoes. 9 Turns his mobile to silent at dinner. 10 Carries house guests’ luggage to their rooms. 11 Tips staff in a private house and a gamekeeper in the shooting field. 12 Says his name when being introduced. 13 Breaks a relationship face to face. 14 Is unafraid to speak the truth. 15 Knows when to clap. 16 Arrives at a meeting five minutes before the agreed time. 17 Is good with waiters. 18 Has two tricks to entertain children. 19 Can undo a bra with one hand. 20 Sings lustily in church. 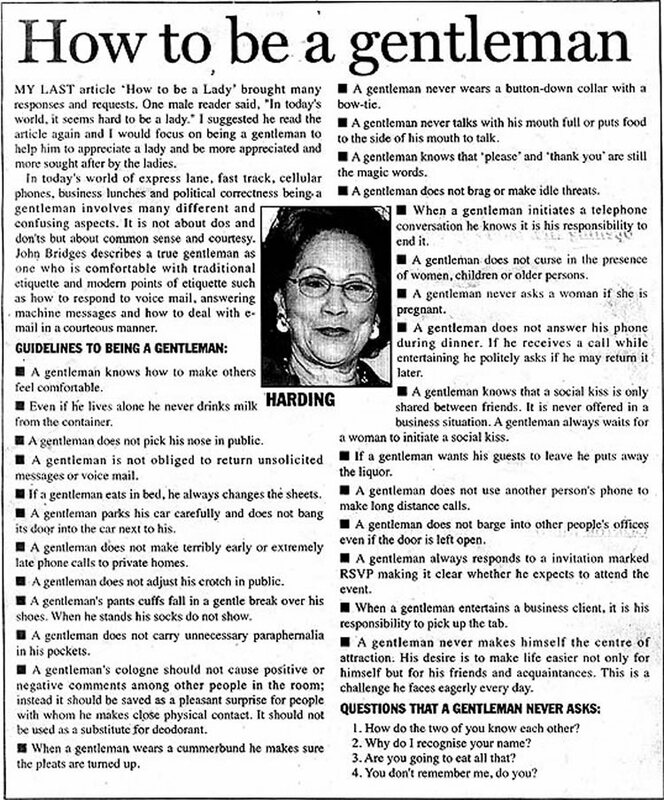 For more on the gentleman, see this site. If anyone knows how to get in touch with Heather Knight and Jeffrey Knight, who grew up across the street from us on Munro Blvd. in Willowdale, Ontario, I'd loved to know how they are doing. I think about them often and have been unsuccessful tracking them down. Here are two photos of me with a terrific guitar I once owned, a Epiphone Triumph made in New York City in 1945.
just outside the amazing town of Tilba Tilba. Nothing quite like Oz!